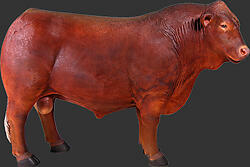 Impressive and huge brown Angus Bull statue from our realistic Life Size Animals Statues Collection. 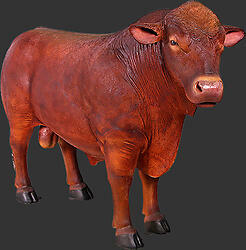 This real life size bull statue is sure to be a perfect piece to add to your farm of theme. The incredible details depicted on this bull sculpture is sure to attract crowd's attention and is a wonderful conversation piece. This true life size replica of the bull statue is made from durable materials using cast resin mold mixed with fiberglass.